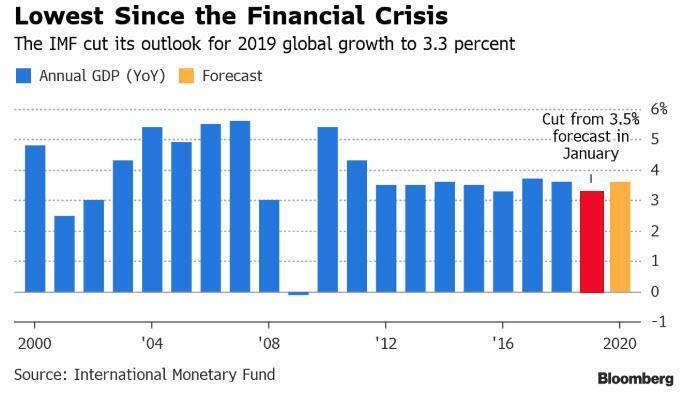 Following Christine Lagarde's warnings last week, The IMF has officially cut its outlook for global growth to the lowest since the financial crisis amid a worsening outlook in most major advanced economies and signs that higher tariffs are weighing on trade. 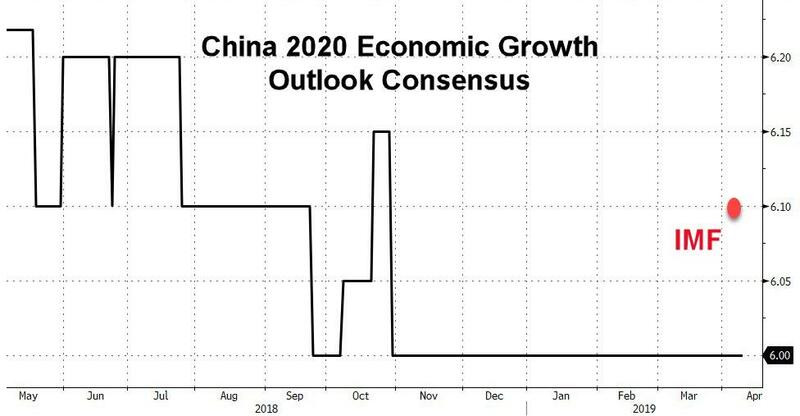 “Following a broad-based upswing in cyclical growth that lasted nearly two years, the global economic expansion decelerated in the second half of 2018,” the International Monetary Fund says in its latest World Economic Outlook. 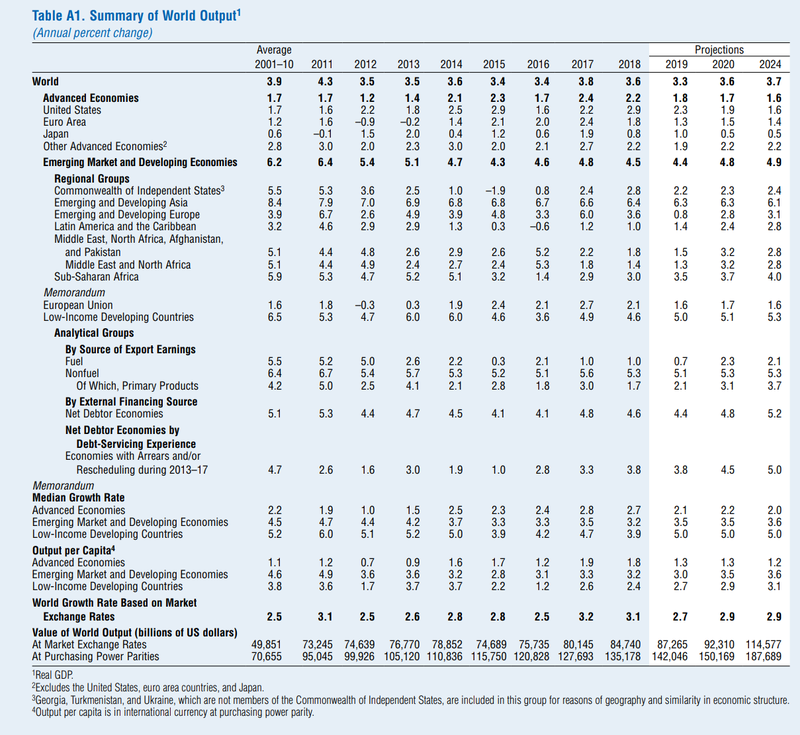 This is the third time the IMF has downgraded its outlook in six months. 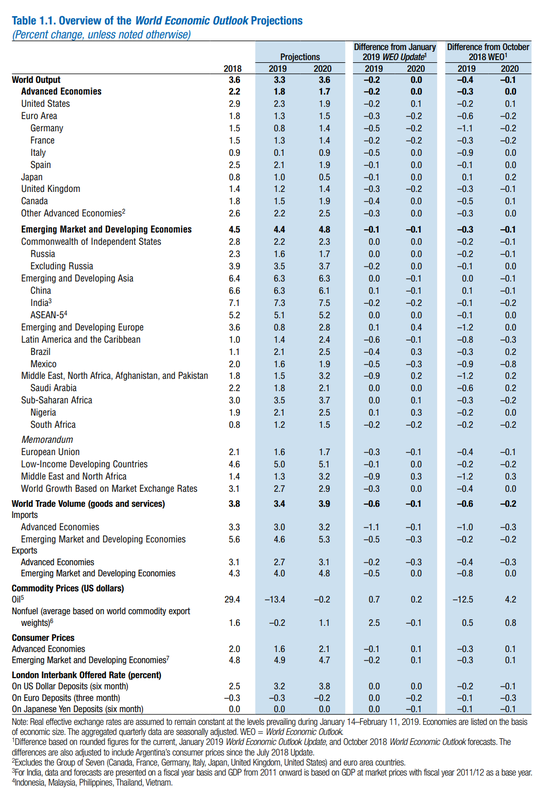 Every single country's growth outlook was cut... except Nigeria! However, the IMF is warning that risks are skewed to the downside, with a range of threats menacing the global economy, including the possible collapse of negotiations between the U.S. and China to end their trade war, and the departure of Britain from the European Union without a transition agreement, known as the “no-deal” Brexit scenario. “Amid waning global growth momentum and limited policy space to combat downturns, avoiding policy missteps that could harm economic activity needs to be the main priority,” the IMF said. IMF Managing Director Christine Lagarde warned the world economy faces a “delicate moment” as finance ministers and central bankers prepare to gather in the U.S. capital this week for the spring meetings of the IMF and World Bank.